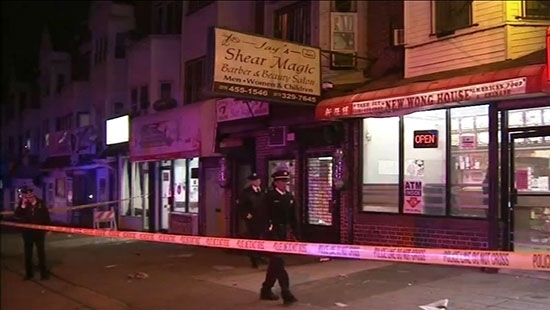 4 men were injured after a masked man opened fire inside a Philadelphia barbershop on Thursday evening, 12/13. It happened shortly after 7 p.m. at Jay's Shear Magic Barbershop along the 4500 block of Broad Street in Logan. A 28-year-old man was shot multiple times in the chest and a 42-year-old man shot once in the leg and once in the chest. They were taken to Einstein Medical Center in critical condition. A 46-year-old man was shot once in the right arm and once in the chest while a 45-year-old man suffered a graze wound on his left shoulder. They were taken to Temple University Hospital in stable condition. Investigators found 22 spent shell casings inside the barbershop. Anyone with any information is asked to call police at 215-686-TIPS. The homeless Philadelphia veteran involved in a large GoFundMe scam with a NJ Couple is being released on bail pending trial under strict conditions. Johnny Bobbitt Jr. appeared in Burlington County court on Friday, 12/14. Last Friday, prosecutors had filed a motion to deny bail citing him as a flight risk, but today both sides came to an agreement. Bobbitt will be allowed to live in his Philadelphia apartment with electronic monitoring. He will have to report to the court system once a week, stay sober, and attend three Narcotics Anonymous meetings a week. Bail could be revoked if he fails to follow those conditions. Bobbitt is accused, along with Katelyn McClure and Mark D'Amico, of making up a feel-good story and fraudulently raising $400,000 on GoFundMe using the false story. Philadelphia Police are looking for a man who shot his girlfriend in the head leaving their 5-day-old daughter in the crib just feet away. It happened around 4 a.m. Friday, 12/14, on the 6300 block of Woodstock Street in Logan. Officers arrived to find the 24-year-old woman with a gunshot to the head. The newborn was unhurt, but was taken to St. Christopher’s Hospital for Children for evaluation. There was no sign of forced entry but there was sign of a struggle. Homicide detectives are searching for the boyfriend.